At Valley Metal Services, we buy, sell, and trade cast iron scrap. Cast iron, like all scrap that contains iron, is classified as a ferrous metal. Cast iron is a durable iron alloy that is used to manufacture auto parts, railroad parts, construction materials, outdoor furniture, stoves, plumbing and pipes, columns, agricultural equipment, and municipal applications. We supply cast iron scrap to foundries, steel mills, and other industries that recycle cast iron scrap into new products. We work with our suppliers to ensure that the grade of scrap cast iron you buy is processed to meet your specifications. If you are looking to buy a particular grade of cast iron or need to know today’s prices please contact us. If you have scrap cast iron to sell, give Valley Metal Services a call. 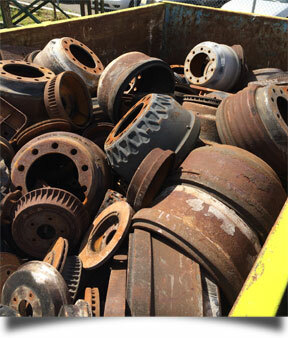 We work with all sellers of cast iron scrap including: auto recyclers and car parts yards, construction demolition companies, municipalities, scrap yards and landfills, and more. We also handle logistics and transportation of the scrap cast iron you have to sell. If you have any questions about cast iron recycling, or current prices of cast iron, call one of our friendly scrap metal brokers today.